The NIH is partnering with Inova Health System to launch a two-year pilot project designed to connect researchers to individuals with genotypes of interest and examine the genes and gene variants’ influence on their phenotypes. 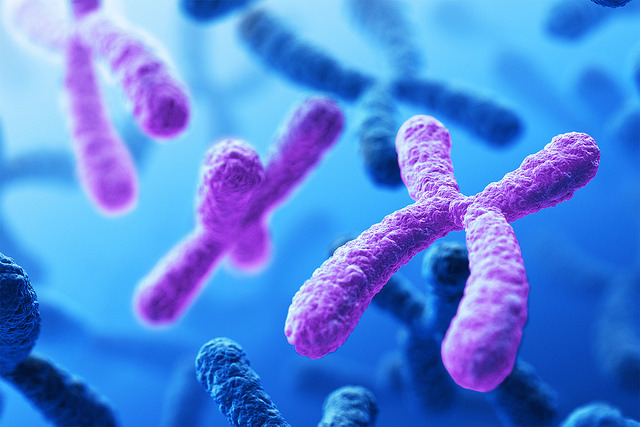 Through The Genomic Ascertainment Cohort (TGAC), the NIH plans to establish a new database of 10,000 human exomes and exomes. Using that database, researchers from the NIH and Inova will predict conditions that specific genes or gene variants might produce, then test their predictions by re-examining individuals who donated their DNA sequence information to the database. Only people who have given express consent to be re-contacted will participate in TGAC—which according to the NIH and Inova will reverse the traditional research paradigm of examining a person’s traits or symptoms, then searching for genes or gene variants that cause them or contribute to them. “We don’t know how the genome makes that transition from wellness, from good health, to early stages of various diseases. We’re trying to understand that process,” John E. Niederhuber, M.D., EVP and CEO of Inova Translational Medicine Institute (ITMI), told Clinical OMICs. “The diseases are a very advanced stage of those changes in our genome. We’ve found that it’s very difficult to sort out that complexity and actually get back to understanding what the pathway of change is that leads to the development of a cancer that we diagnose, or heart diseases where the heart muscle begins to fail, or the development of hypertension or kidney disease. “As we understand them, we increase our knowledge to know what we might do to intervene, what targets we might develop therapeutics toward to try to alter that process,” said Dr. Niederhuber, who served as director of the NIH’s National Cancer Institute from 2006-2010. He and NIH colleagues began talking about the collaboration a year and a half ago. Knowledge about the genome has remained elusive despite years of conventional research in which investigators identified patients with a particular cancer, then working backwards to see what in their genome might explain why they are diagnosed with the disease. “The idea was we would try to build a very large database of genomic information, then we would form hypotheses for our research to look at that genomic information for clusters of change, for variants in the genome. They could be in the coding areas for the proteins that the cells make, or it could be in other areas that regulate that process of coding for a protein,” said Niederhuber, who is deputy director of the Johns Hopkins Clinical Research Network and an adjunct professor of Oncology and Surgery at Johns Hopkins University School of Medicine. Through TGAC, a researcher might locate a genotype of interest in the database, then upon approval, invite participants with the genotype for further study at the NIH Clinical Center in Bethesda, MD, the nation's largest hospital dedicated solely to clinical research. According to the NIH, most requests from researchers will require simple blood samples from participants, while other tests might include electroencephalograms (EEGs) or MRI scans. NIH’s National Human Genome Research Institute (NHGRI) will administer the program and host the database. It will initially be limited to researchers from Inova and the NIH. “If successful, we plan to open the database to outside researchers in the future,” stated Richard Siegel, M.D., Ph.D., a TGAC co-organizer. TGAC has set an initial goal of 10,000 genomes and exomes “because that will allow recruitment of individuals with both common and rarer gene variants,” said Dr. Siegel, who is also clinical director and chief of the Autoimmunity Branch at NIH’s National Institute of Arthritis and Musculoskeletal and Skin Diseases (NIAMS). Participating NIH institutes have agreed to each contribute genome and exome sequences to the TGAC database from existing research programs. Among those programs are NHGRI’s CLINSEQ program; the National Heart, Lung, and Blood Institute’s transplant program; and the National Institute of Environmental Health Sciences’ Environmental Polymorphism Study. Inova has agreed to contribute to TGAC genome sequences of 8,000 people in parent-child trios from its Longitudinal Childhood Genome Study, also known as the First 1,000 Days of Life and Beyond study. Established in 2012, the study examines not only parents and their children, but grandparents and other relatives as well, with the aim of identifying genomic, clinical, and environmental risk factors that may offer insight into conditions ranging from premature birth to asthma, obesity, and developmental disorders. ITMI was able to expand the longitudinal study in 2016 by being part of a consortium that won a $9.5 million NIH grant to study environmental influences on child health—among $157 million in grants awarded to launch the seven-year Environmental Influences on Child Health Outcomes (ECHO) research initiative. The consortium is led by husband-and-wife researchers Rosalind Wright, M.D., M.P.H. and Robert O. Wright, M.D., M.P.H., both of the Icahn School of Medicine at Mount Sinai Medical Center. Since the Longitudinal Childhood Genome Study was established, Inova researchers have obtained samples from about 3,500 families, and have completed sequencing for 1,435 families, Dr. Niederhuber said. The longitudinal cohort accounts for the largest subgroup of Inova’s approximately 8,000 whole genome sequences in all its studies. Through TGAC, an additional 1,000 patients will be recruited to have genome sequencing performed, the NIH said. Half of those patients will be people with Hispanic backgrounds, and the other half, individuals with African-American ethnic backgrounds in CLINSEQ. TGAC will be based in the Washington, D.C., area, where Inova serves more than 2 million people each year through its integrated network of hospitals, primary and specialty care practices, emergency and urgent care centers, outpatient services and destination institutes. Inova operates six hospitals with more than 1,700 licensed beds. [This report has been updated from an earlier version to include additional information about The Genomic Ascertainment Cohort (TGAC) and Inova's Longitudinal Childhood Genome Study].